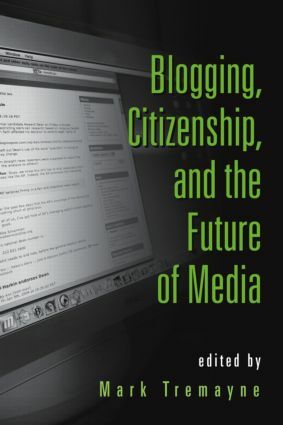 This collection of original essays addresses a number of questions seeking to increase our understanding of the role of blogs in the contemporary media landscape. It takes a provocative look at how blogs are reshaping culture, media, and politics while offering multiple theoretical perspectives and methodological approaches to the study. Americans are increasingly turning to blogs for news, information, and entertainment. But what is the content of blogs? Who writes them? What is the consequence of the population’s growing dependence on blogs for political information? What are the effects of blogging? Do readers trust blogs as credible sources of information? The volume includes quantitative and qualitative studies of the blogosphere, its contents, its authors, and its networked connections. The readers of blogs are another focus of the collection: how are blog readers different from the rest of the population? What consequences do blogs have for the lives of everyday people? Finally, the book explores the ramifications of the blog phenomenon on the future of traditional media: television, newspapers, and radio.